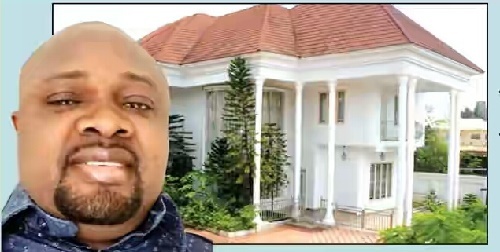 According to Punch, the commission discovered a mansion in the Agungi area of the Lekki-Epe Expressway, allegedly belonging to Dudafa, said to be worth over N300m. The anti-graft agency also traced a plot of land around the Chevron Estate, off the Lekki-Epe Expressway and a twin duplex within the same area said to belong to Dudafa. “When we are probing a person, we usually investigate his lifestyle and see if he or she is living above his means. Since Dudafa has already been arraigned for money laundering, we decided to launch further investigations into his lifestyle. The money given to Dudafa was allegedly used in bribing PDP delegates. The money was allegedly diverted by the Office of the National Security Adviser under Col. Sambo Dasuki (retd.) from a Signature Bonus Account in the Central Bank of Nigeria. While Adegbe was arrested but later released, Dudafa was said to have fled to either Dubai or a Caribbean country where he stayed for several months. Dudafa was finally arrested by operatives of the Department of State Services upon arrival at the Murtala Muhammed International Airport, Lagos, on April 18, 2016. The current balance of the four accounts is $15,591,700 while the money in Patience’s personal account stands at $5m. The four companies last week pleaded guilty to money laundering. One Sammie Somiari, who deposed to an affidavit on behalf of Patience, claimed that the former President’s wife was the rightful owner of the $15m and that Dudafa helped her to open the bank accounts in 2010. The deponent claimed that Patience was the sole signatory to the accounts.